The Braumeister: A patented, electric, self-contained all-grain brewing system producing 61 gallons of wort per brew. 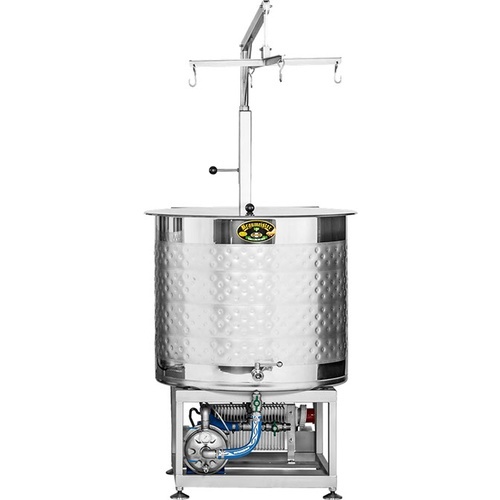 The beauty of the Speidel Braumeister is in simplicity and small footprint. This product is not part of our free shipping policy, however we only charge actual freight from our California or Pennsylvania Warehouse to your location. One Vessel: With the Braumeister you Mash, Boil and Cool all in the same vessel. All actions are controlled by the included electronic control system. Your brewing process is started in the Braumeister the same as with any other system, by mixing cracked grain with hot water. From there traditional step mashes at multiple temperatures are easy to maintain when you set your program on the controller. Traditional Sparging Optional Because of the constant movement of wort, the high ratio of liquid in the mash and the unique grain bed filters, the efficiency of removing sugar from the mash is good. 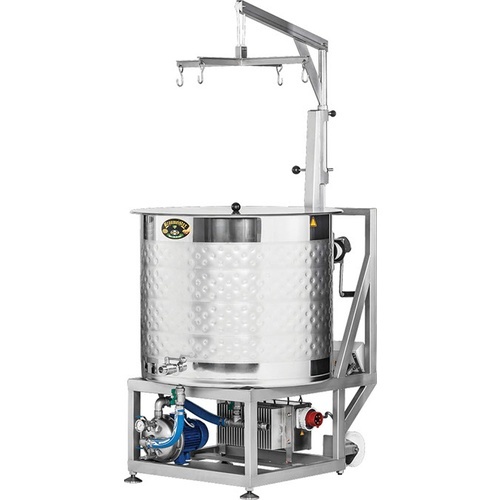 This eliminates the need for a traditional sparge. However when you shift from Mashing to the boil by lifting the grain bed out of the tank you can rinse the grain with hot water, performing a more traditional sparge if desired. Designed to make approximately 61 gallons of wort, 52 gallons finished beer.